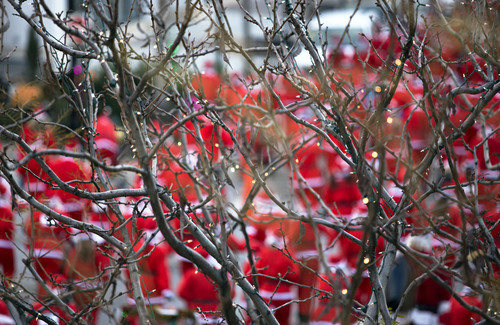 Lennie Mahler | The Salt Lake Tribune A group of about 600 runners dressed as Santa Claus race through the Gateway Mall for the annual 5K Santa Run on Saturday, Nov. 23, 2013. Lennie Mahler | The Salt Lake Tribune A group of about 600 runners dressed as Santa Claus race through the Gateway Mall for the annual 5K Santa Run on Saturday, Nov. 23, 2013. 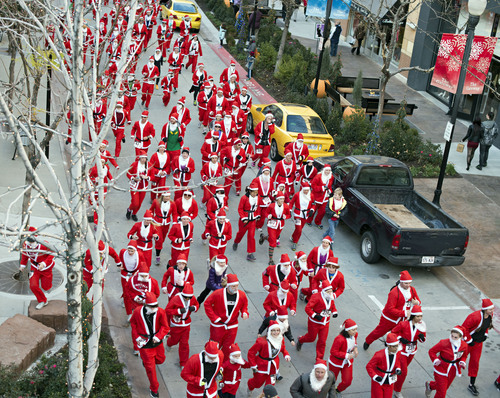 Lennie Mahler | The Salt Lake Tribune Haden Penrod leads a pack of about 600 runners dressed as Santa Claus in the Gateway Mall for the annual 5K Santa Run on Saturday, Nov. 23, 2013. Penrod, who runs cross country at Springville High, finished the race first with a time of 17:14. 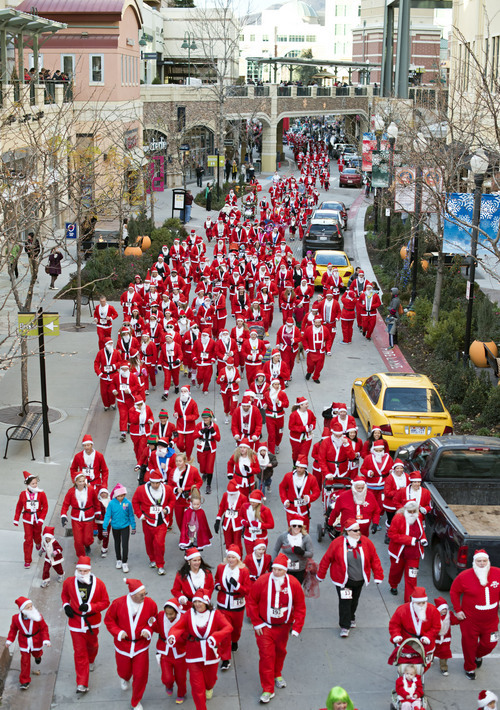 Lennie Mahler | The Salt Lake Tribune A group of about 600 runners dressed as Santa Claus gather in the Gateway Mall for the annual 5K Santa Run on Saturday, Nov. 23, 2013. 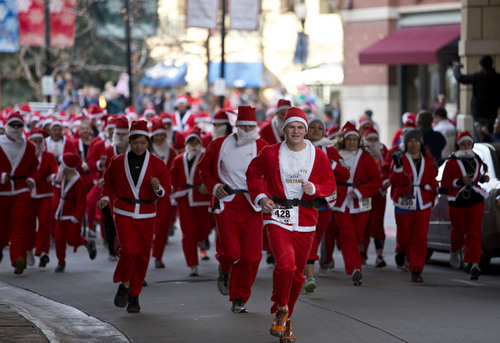 Lennie Mahler | The Salt Lake Tribune A group of about 600 runners dressed as Santa Claus race through the Gateway Mall for the annual 5K Santa Run on Saturday, Nov. 23, 2013. Lennie Mahler | The Salt Lake Tribune A group of about 600 runners dressed as Santa Claus race through the Gateway Mall for the annual 5K Santa Run on Saturday, Nov. 23, 2013. Lennie Mahler | The Salt Lake Tribune A group of about 600 runners dressed as Santa Claus race through the Gateway Mall for the annual 5K Santa Run on Saturday, Nov. 23, 2013. Lennie Mahler | The Salt Lake Tribune A group of about 600 runners dressed as Santa Claus race through the Gateway Mall for the annual 5K Santa Run on Saturday, Nov. 23, 2013. Lennie Mahler | The Salt Lake Tribune A group of about 600 runners dressed as Santa Claus race through the Gateway Mall for the annual 5K Santa Run on Saturday, Nov. 23, 2013. 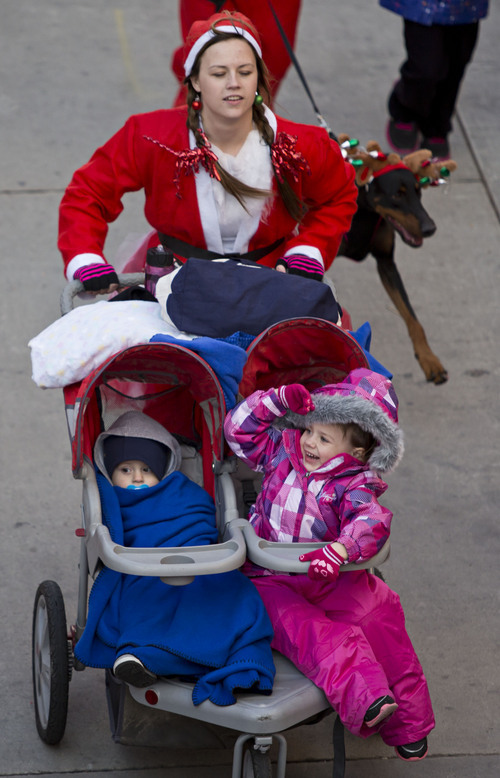 The 2013 Utah Santa Run helped kick off the holiday season Saturday in downtown Salt Lake City. 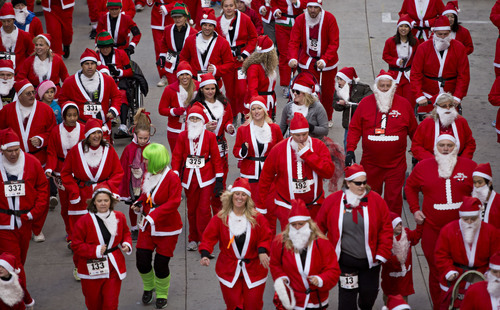 Runners dressed in Santa outfits ho-ho-ho&apos;ed their way through a 5K that started and ended at The Gateway Mall. 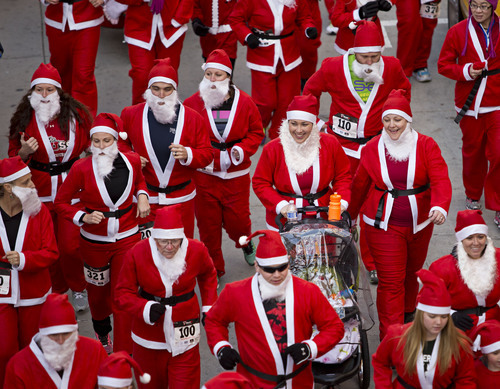 Unique to this 5K, organizers offered the running Santas cookies and milk along the course. 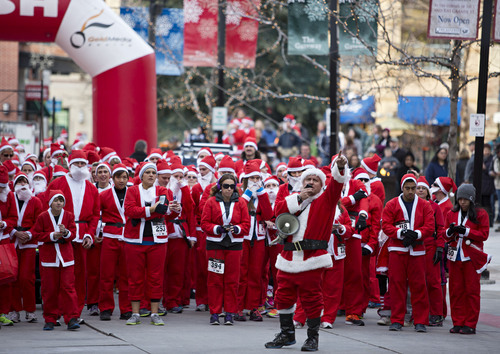 Two more Santa Runs are scheduled: Downtown Ogden on Saturday Nov. 30, and the Shops at Riverwoods in Provo on Saturday Dec. 7. For more information, http://www.runsanta.com.